Room 20 @Sunnyhills: Super swimmer Jessica! Congratulations Jessica on receiving the award at assembly this week! Swimming is such an important skill to have! Well Done Jessica!! you must improving your Swimming in the school pool. 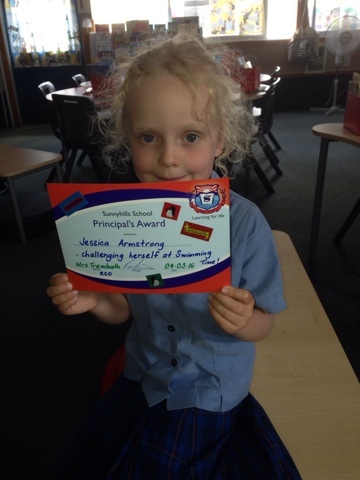 Jessica's mum: Well done Jessie, you worked hard for the swimming carnival! Very proud of you!